This is one recipe that I always have at the back of my mind for those days when I don’t know what to cook anymore and can’t be bothered to think of any. 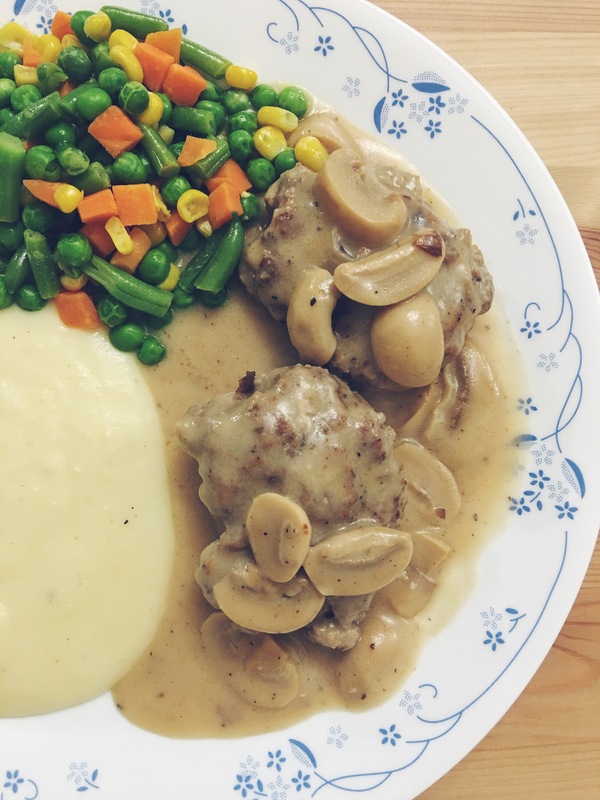 This is my own version of Salisbury steak, with the ingredients simplified to make it easier to cook (if you still have the time!) especially during weeknights. 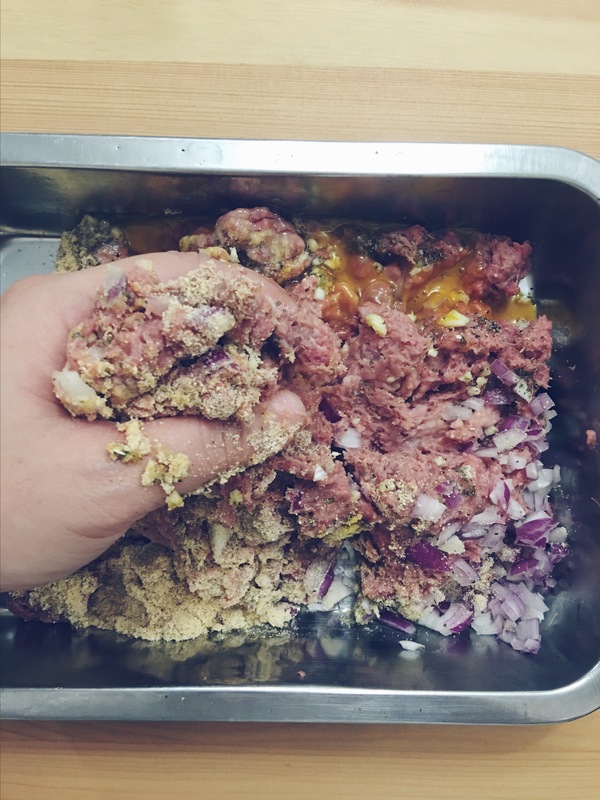 1) Mix all the patty ingredients and roll them into a ball. 2) Heat 2 tbs. of oil in a big pan, medium-high heat. 3) Once hot, place the meatball and flatten them in the pan. Cook for 4 minutes on each side. Set the meat aside. 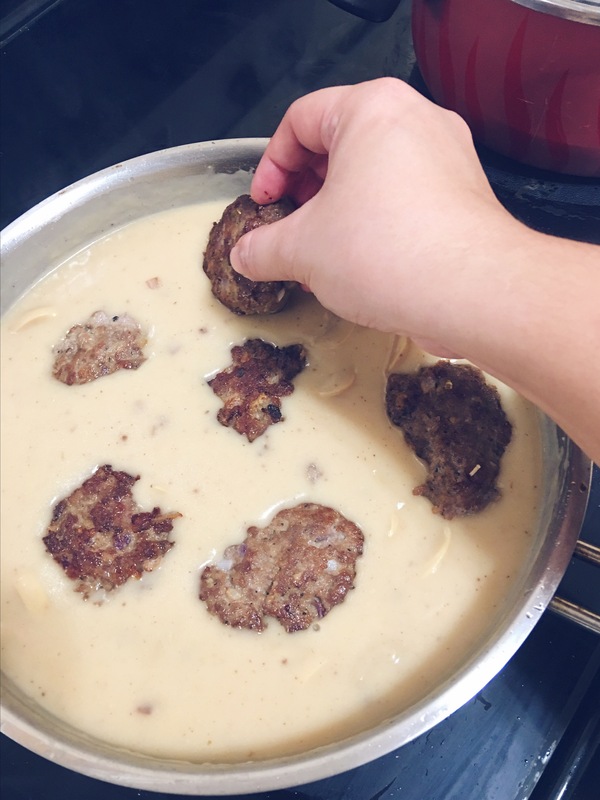 (Do not overcook the meat as you will be cooking it with the gravy later). 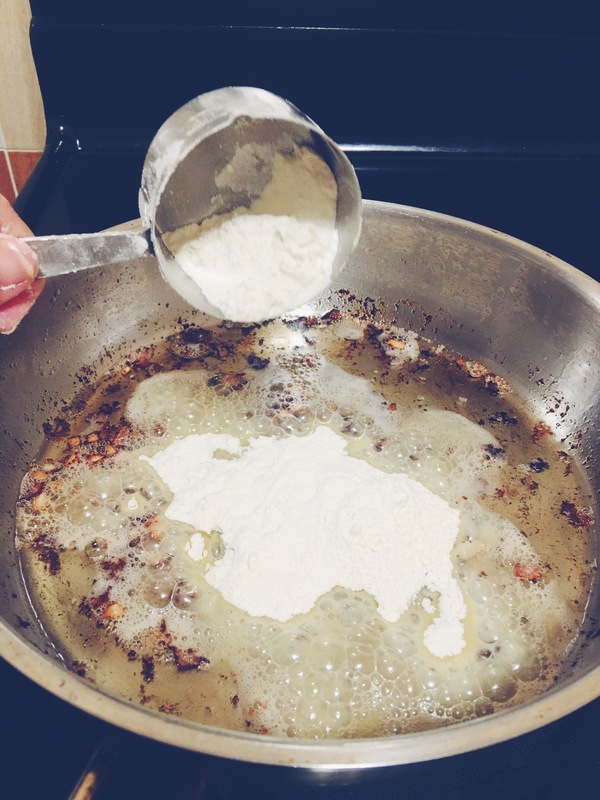 4) Lower the heat and add the flour to make a roux. Using a whisk, whisk the flour mixture vigorously and continuously for 5 minutes to make sure it does not stick to the pan. 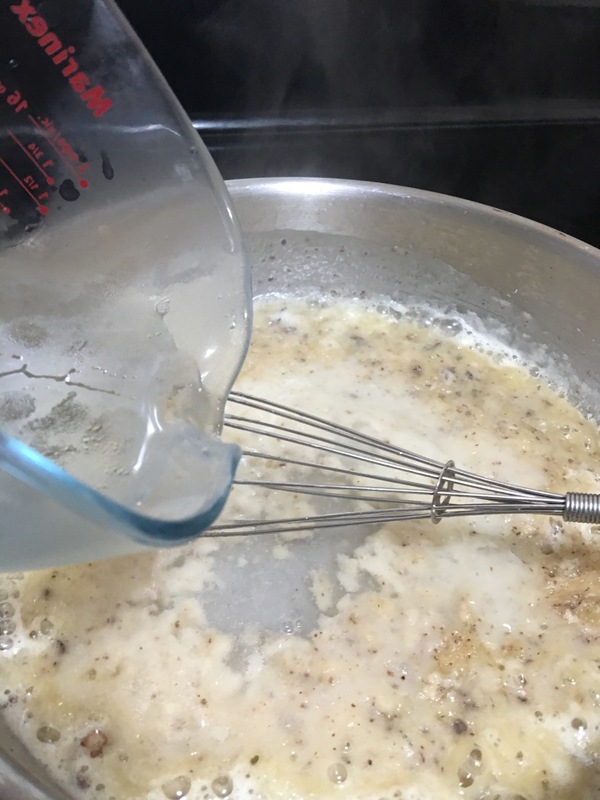 5) Once the flour mixture turns pasty, add the water and whisk it again until water and flour are thoroughly blended and no lumps appear. 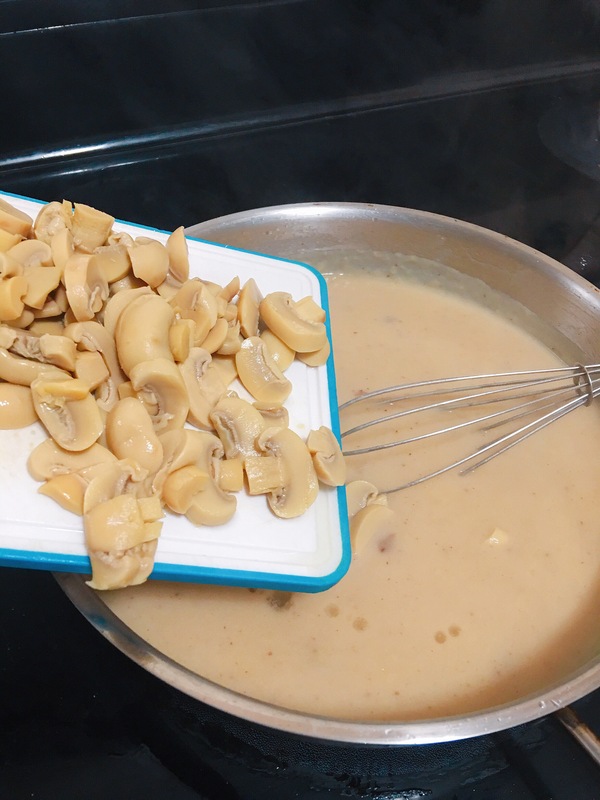 6) Add the mushrooms and whisk in the milk and cream. 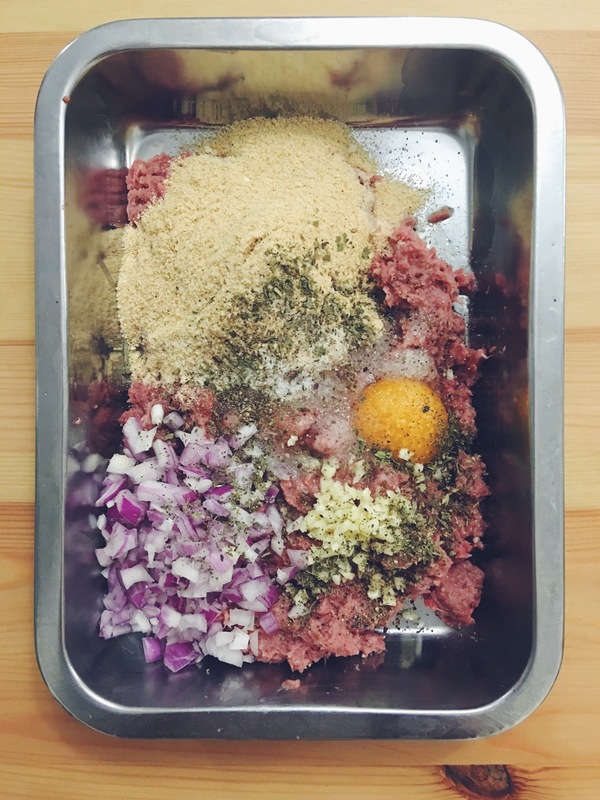 Add the patties and cover. 6) Increase the temperature to medium and bring to a rolling boil. Turn off the heat and serve. Best eaten with rice or mashed potatoes and stir fried veggies.